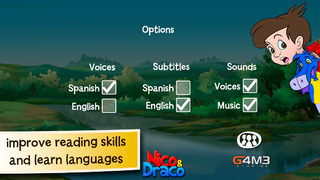 An interactive and bi-lingual (choice between Spanish and English) e-storybook, which tells the story of Nico and his dragon friend, Draco. 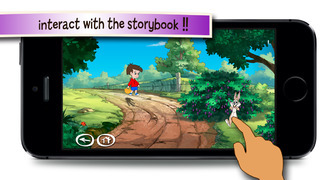 The storybook blends an audio-visual storybook with interactive, educational elements. Victoria Pérez Escribà and G4M3 Studios bring you a charming storybook app whose plotline introduces you to and draws you into the wonderful world of Nico and his friend Draco. The app is aimed at the 5-years-and-under market; however the story and informative aspects will appeal to older readers as well. 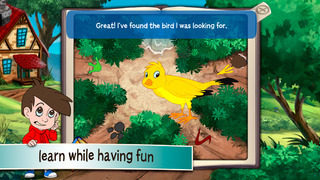 This bi-lingual app – where the story can be recounted either in Spanish and English – is a fantastic way to introduce you child to Spanish or English as an additional language and watch as they interact with it in a natural and intuitive way. The very accurate Spanish is complemented by excellent spoken-English, and very good written-English, yet the minor English-spelling mistakes do not and will not detract from what is a well-produced work. The language will be far too advanced for a beginner to the language, yet therein does not lie the crux of the book. This book strives to have readers embrace and relate to a story in another language, as opposed to having them dissect the nuances of how that language is composed and reproduced. The opening sequence allows you to choose the appropriate language (English or Spanish), pick up from a previously visited scene from the story or look into other books from the same author. 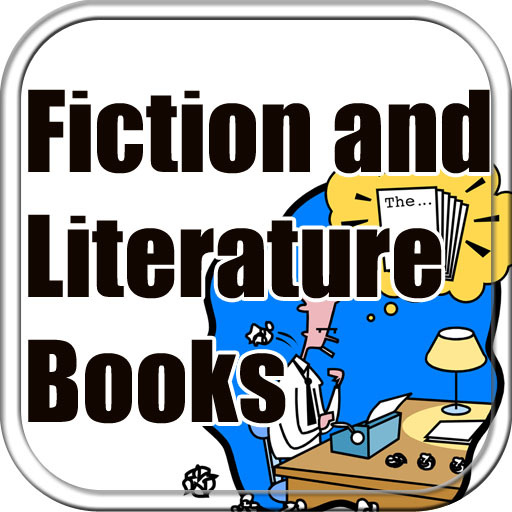 The story is narrated at the reader’s discretion – as they advance the story when they are ready – by clicking on the relevant speech-bubble when instructed to do so. This is coupled with further interactive elements, whereby the reader can hear directly from Nico and the other characters themselves, as well as other opportunities to engage with the screen, namely playing with some of the background scenery. As the story unfolds, your child will be met with a series of challenges – ranging from science, maths and English-based questions – which help bring the story even more to life. On beginning your journey with Nico, we find him setting off on a seemingly innocuous trip to pick some blackberries for his mother to bake him a pie. With interactive and educational games thrown into the mix, your son or daughter will find an appealing blend of spontaneity in the plot and educational challenges draw them into Nico’s world. The illustration is well-designed, just like a top-quality picture book and it is this familiarity that allows the user to pass through the app with ease. Throughout the story each sequence is concluded with a short game, with the ‘paid’ content being introduced after the second. The games – the instructions for which are not always clearly explained – respectively, employ visual recognition, motor skills and varied questioning all within the confines of early-years and Key Stage 1 level educational paradigms, which in turn bring about accessible challenges to your son and/or daughter. Overall, it is an extremely well-presented app with lots of engaging little features that will not only educate but also keep the user engaged as they progress through the story. Don’t miss the first chapter of an unforgettable kids series, written by the recognized and awarded Spanish writer Victoria Pérez Escrivà, where the youngest of the family will enjoy a story of friendship without prejudice. Enjoy learning with this interactive storybook! Nico is a boy who loves jam and, finally, his mother has promised to do it. So he has to go to the forest to pick fresh blackberries up… But there he’ll find something much better: a new friend! 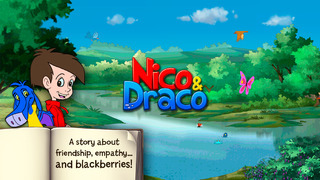 Developing reading skills will be easier with Nico and Draco, an unusual couple who will make all ages happy. **Download Nico & Draco for free and if you like it, get the complete tale. 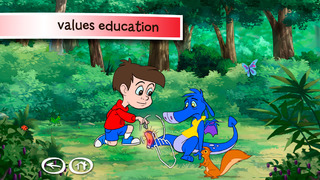 - Fun Educational Apps: "The aspect most unique is the capability for the full immersion in the Spanish language. Bilingual readers or users attempting to learn either English or Spanish can utilize the benefit of having the duel language options. " - AppyMall: "The app has some good points, such as one of the games where the child needs to sequence parts of the story"